Following up on last night’s Daily, tonight’s is another remix of “Guardia’s Millennium Fair” by Yasunori Mitsuda, this time by djpretzel, the founder of OCRemix. I love the ehtnic style of this mix – guitar-driven. The song is a reference to Vash the Stampede from Trigun and the band Jethro Tull. djpretzel goes into a bit more detail on the background of this song on the OCR page, so I’ll just link there (needless to say, it was the last song he composed in his old house, so there’s a sense of fond farewellness to the tune). This is the last party, where all the friends are there, and whether it’s a guy with a guitar at the fair or a small acoustic band at the party, it’s a sense of intimacy that isn’t communicated through “Blue Skies Over Guardia” – yet still has that sweeping feel of space extending beyond the music. Anyway, if you’re wondering why this is so short, it’s because I”m at GDC at the moment and spent the past six hours at the Gamma IV event listening to Baiyon unleash an explosion of sound and awesome which has reduced me to speechlessness. I’ll be giving coverage on this for Gametunes later this week. 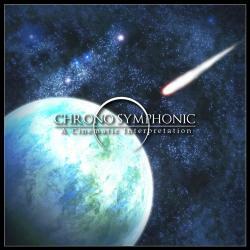 Chrono Symphonic (2006) was an interesting project begun to orchestrate the Chrono Trigger soundtrack as if it were a film. The authors produced a symphonic story based on remixers’ interpretations of the different themes. While it does not cover the entire Chrono Trigger narrative, it’s still a marvelous piece of work. While I like most of the album, Darkesword’s “Blue Skies Over Guardia” is one of my favorites. The whole soundtrack is available through the project’s homepage. “Blue Skies Over Guardia”, though not originally a part of Chrono Symphonic, fits the soundtrack quite well, invoking images of blue skies, white clouds, and a warm breeze amidst the height of peaceful days. The music takes great bounding steps similar to the races at the fair and the joy of dashing about to find what all is in the faire. The theme also makes excellent use of church bells – bells of celebration and also in reference to the millennium bell. Some nice brass gives a mellow feel to the song, while the piano plays the role of tiny bells that dance and twinkle with joy. There’s also a bit of a fun ethnic feel through the bongo drums. “Blue Skies Over Guardia” is thus all about celebration and peace, a very calming meditation on the happiness of the folk during simpler days. It ends just as it begins – with a fading of bells. The final bell toll at the end symbolizes the millennium bell, which initiates a rise to action. The OCRemix page goes into a bit more detail. Darkesword has composed many excellent tunes, and “Blue Skies Over Guardia” is one of my favorites. It is also one of two fun remixes of “Guardia’s Millennial Fair.” The other, “Jethro and Vash at the Fair” I think will be tomorrow’s Daily. 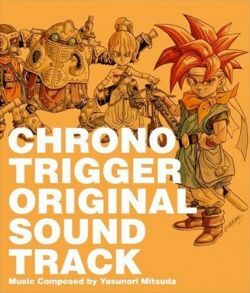 For the final track of 2009, I present “Outskirts of Time” from Chrono Trigger (1995), by Yasunori Mitsuda. “Outskirts of Time” is my favorite ending theme and one of my favorite vgm songs ever. Part of this might have to do with how much I love Chrono Trigger and the part of my life I was going through when I played the game, but once you take all that away, it’s still amazing. There are actually three different versions of this song. The first is from the Super Famicom version (1995), the second from the PlayStation version (1999), and the third from the Nintendo DS version (2009). I find the DS version is the best, so this is the one included. Incidentally, the Super Famicom version has a music box track playing at the end. The instrument selection is fantastic, with maracas (or something similar) keeping the rhythm early on, a beautiful flute, harp, strings, and piano whose notes sound like water gently falling. The rhythm gives a sense of passing time and ticking clocks (at the end, a clock ticking away is actually used) with the main notes of the melody giving a sense of floating away over clouds of dream. In the end, Mitsuda integrates elements of “Peaceful Days”, the main map theme, with its lazy clouds, rolling hills, and majestic seagulls. 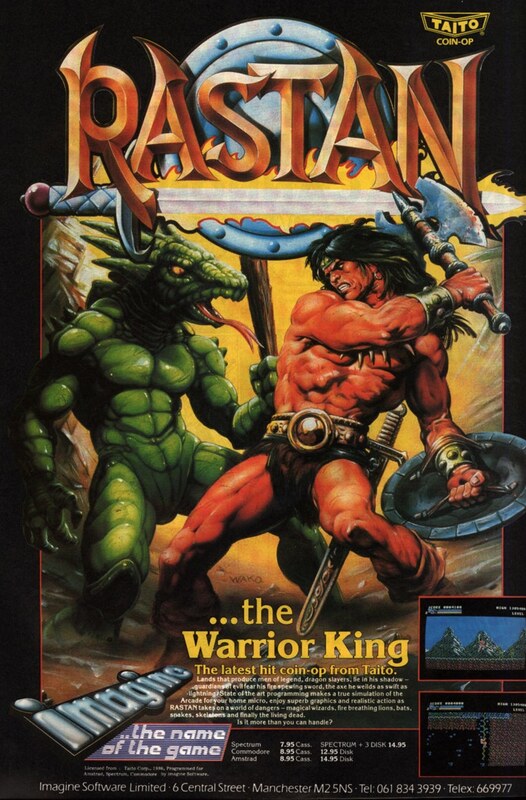 Yasunori Mitsuda cried when he first heard his song played back inside the game. He’d written it during a very difficult part of his life – it was his first major project, the first soundtrack he’d actually composed, and he had put an incredible amount of work into it. But he also overworked himself, getting sick with stomach ulcers and was hospitalized for a time (Nobuo Uematsu helped him complete the soundtrack, but the majority of the fantastic work on the masterpiece is Mitsuda’s own). He also reports that his hard drive had crashed and he’d lost half his music. So one night, he was having trouble composing and fell asleep at the computer. He woke up after hearing the song in a dream, and he wrote it down. It is certainly one of his best pieces, and my pick for best song in Chrono Trigger. There’s a nice interview about the DS album here. On a important note: for the longest time, I’d thought the ending theme was titled “To Far Away Times”, but turns out it’s actually “Outskirts of Time”. Read the rest of this entry ?